The Lancaster City Council met for its Regular Meeting on Wednesday, February 13, 2019, at 7:00 P.M. in the City Hall Meeting Room. The following members were present: Mike Olson, Mayor; Luke Nordin, Kathy Bernstrom. Absent were Jim Hilman and Faye Potrament. Bernstrom moved to approve the Council minutes of the January 9, 2019 regular meeting second by Nordin and carried. A copy of the Minutes will be posted at the Lancaster City Hall and U.S. Post Office and available upon request to the clerk. The council reviewed the February 2019 bills presented this night; any other bills that have been paid prior to this meeting to avoid late payments, receive discounts & meet payroll and all payroll expenses as approved in the 2019 Rates Fees & Appointments Schedule. Nordin moved to approve the bills, second by Bernstrom and carried unanimously. An abstract of bills will be posted with the minutes and are available upon request to the clerk. George Zondagh, Maintenance, met with the council to report that the water in the maintenance shop and bulk water dispenser have froze up and no more bulk water will be available at this time. Zondagh reports that a resident’s water meter froze and is leaking, repairs will be done shortly. Bernstrom moved that the fee of $150.00 for damage to meter be charged, second by Nordin and carried. Zondagh presented a cost estimate from Main & Core for the control structure repair at the lagoon with a casting cost of approximately $4,830.80 including shipping. But notes that gates will have to be cast in place later and are not included with the cost. Nordin move to proceed with the casting, second by Bernstrom and carried. Clerk reported that MinnDak Asphalt has not paid their bulk water bill of $28.86 along with finance charges and has not answered any correspondence. Costs to pursue a small claims court case exceed the bill. Bernstrom move to write off the account and not allow MinnDak to use bulk water from the city, second by Nordin and carried. Clerk gave council 2018 Annual report on the City Revolving Loan Fund. Fireman, Clifford Steyn, has requested a leave of absence starting January 1, 2019. Bernstrom approved the leave not to exceed 12 months, second by Nordin and carried. Clerk presented information regarding the League of MN Cities Safety & Loss Control Workshop on March 27th to see if any council persons could attend with her. Clerk presented the council with 2019-2020 Fire Fund Drive information and reported that the total donations received are $11,115.00. It was a great success, thanks to all. Council reviewed the MN State Firemen’s Retirement Fund year end report. Council reviewed the MN Department of Health Drinking Water for the City water system, no deficiencies are noted. 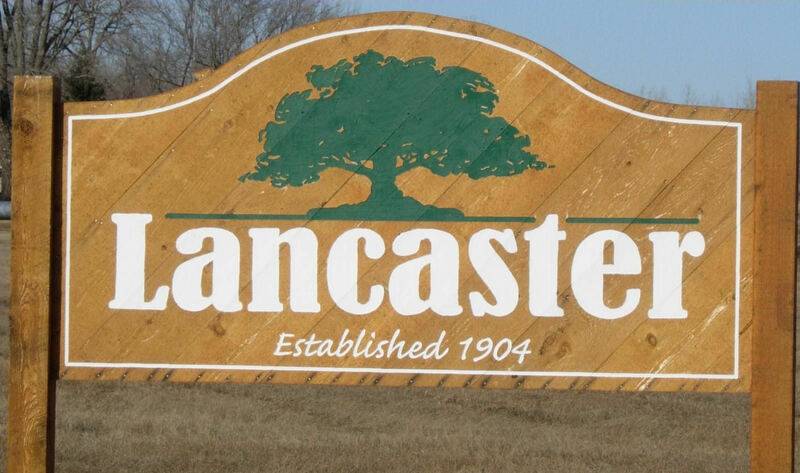 Mike Whitlock representing the Lancaster Business Association met with the council to discuss events that the business association holds asks that the city appropriate an annual amount of $2,000.00 per year for events. Bernstrom moved to annually appropriate $2,000.00, second by Nordin and carried. Council also reviewed Council reviewed the January 2019 City and Liquor Store financial information. Council discussed request by Donald Burton to have terms like those extended to Hanson Manufacturing extended to AgriSports. Council will consult with the City Attorney to assure that the city doesn’t lose their collateral position.